It seems like the northeast has been pelted by snowstorms week after week this year. We've endured freezing cold temperatures that make you want to do nothing but stay inside. It's important to stay active, so what better way to keep moving than by skiing? All of that snow that we've received makes for excellent skiing conditions. Go ahead and suit up and get ready to head down the slopes! 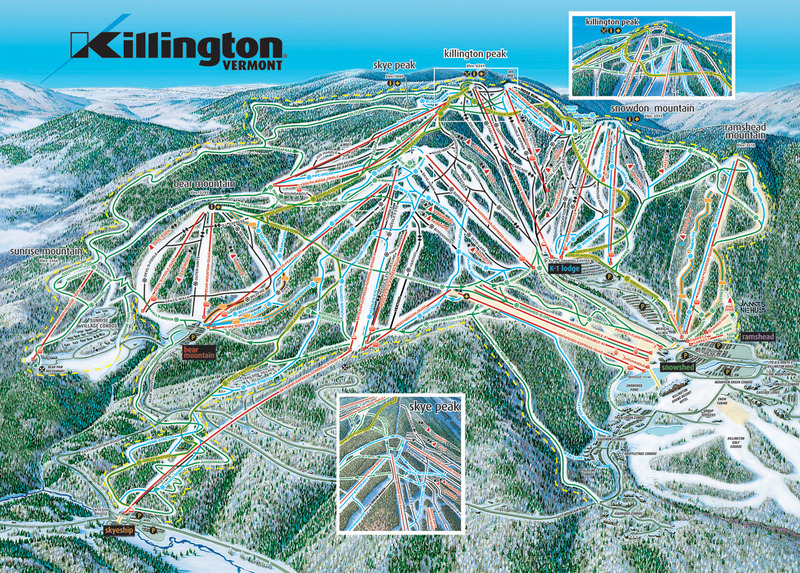 Killington Ski Resort is the largest ski and snowboard resort in the east with over 3,000 acres in their boundary. If you're planning on visiting Killington, Vermont soon, it's imperative that you make a stop at the ski resort. With ample lodging space, you'll be able to wake up ready to ski each day! Make a family trip out of it and enjoy snowboarding, snowshoe tours, sleigh rides and more. There's certainly something for each member of your family to do. At night you can unwind by having dinner and checking out the shops and sights that Killington has to offer. Killington's Peak Lodge offers fantastic eats that will make your stomach smile. The best part about the restaurant is that each table is within view of the floor to ceiling windows providing a panoramic views of five states and Canada. Not to mention three mountain ranges, the Greens, Whites, and Adirondacks. Talk about a view! What are you waiting for? Plan a trip today! Look at all of those fabulous slopes just waiting for you! Don't forget to check out Killington's upcoming event this season; Pond Skimming: A Wacky Rite of Spring. You can sign up for some pond skimming fun yourself, or watch others participate. It'll certainly be some great entertainment. Killington Ski Resort is waiting for you to plan your trip today. Go ahead and get your credit card ready!